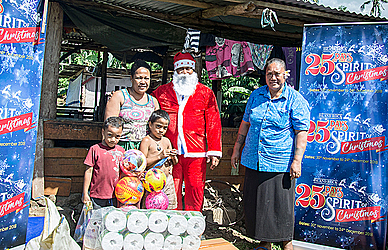 With the festive season approaching, the Christmas food hamper from local firm Island Rock could not have come at a better time for Fili Iosefa of Satapuala. Her family was one of four families selected to be part of the Island Rock’s 25 Days Spirit of Christmas Campaign, which was launched last Friday. “Firstly, I would like to extend our warmest appreciation towards Island Rock, because our family is fortunate to have been chosen as a recipient to receive assistance. “It is quite uncommon because not every day you get free food, like a box of chicken, tinned fish, noodles, box of crackers, sacks of rice without having to pay for it. “My kids were also blessed with early Christmas presents as they received toys as well, they just could not wait any longer, but play with their toys the moment they got them,” she said. 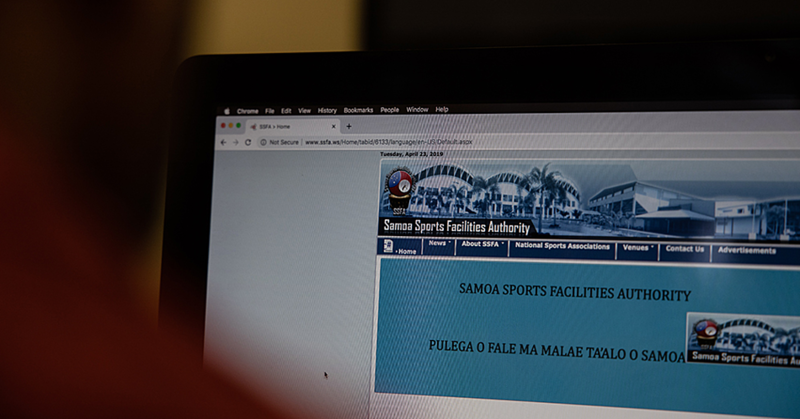 They were selected after their story on the difficulties they were facing at home, was published this year in the Village Voice column of the Samoa Observer. The hamper has a box of chicken, tinned fish, noodles, box of crackers, sacks of rice along with toys for the children. The mother of three thanked Island Rock for an unforgettable opportunity that does not occur often. “I also pray that our heavenly father will continue to shower his blessings upon your company. “I also acknowledge the support by the Samoa Observer in being the voice that we needed to showcase the concerns and fears of our family. “At the moment my family is still in need of a water tank and so we will also continue to pray for help,” she added. The food hamper will take the family through the festive period, added Fili, as she said no one in her family currently has a job. Island Rock representative, Koava Seve spoke on behalf of the owners of company, the management and the staff. “The main aim of our company is to spread Christmas joy through the spirit of giving to those that are in need of assistance. “This is part of our way of giving back to the community and also encouraging others to do the same. 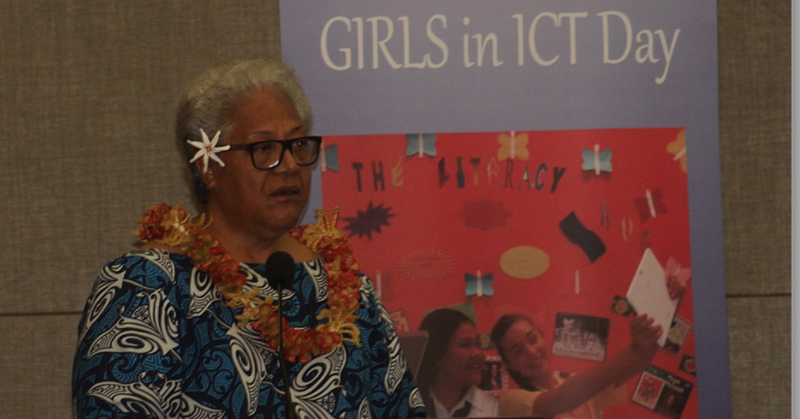 “We hope to change lives by helping vulnerable families featured in the Samoa Observer section, known as the Village Voice,” she said. The campaign is running for 25 days with different programmes and activities.